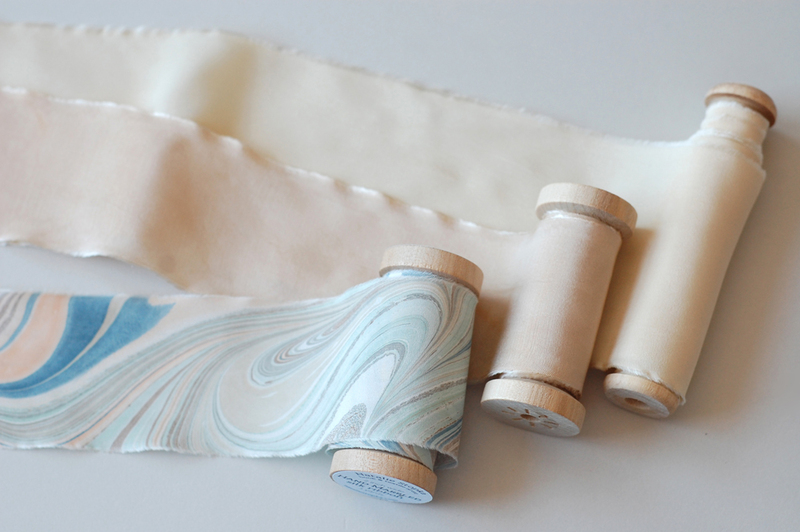 New ethereal silk ribbons marbled in shades of blushing pink and lilac are now in the shop! Perfect for the first bouquets of the season, Easter baskets, or a little something blue for springtime brides. And for crafters looking to get their hands dirty, Issue 3 of Project Calm Magazine features a paper marbling tutorial and interview, giving you a peek into my studio and process. Preview the issue here for craft inspiration, stories, and wellbeing ideas for mindfulness through making. 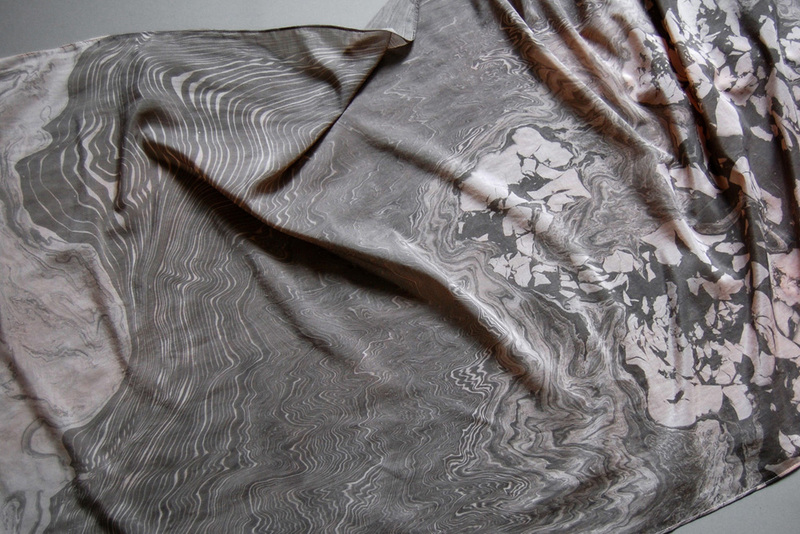 Last fall, I created a series of marbled patterns in collaboration with Galison. Today they bedeck a suite of stationery and desk accessories, now in stores. Thanks to the design team at Galison for transforming my work into these brilliant goods! With spring now finally arrived, I've returned to my dyepots to create silk ribbons in natural shades complementing some of my favorite marbled patterns. It is nice to get back to dyeing! These suites of ribbon share subtle but harmonious shades drawn from nature, perfect to bedeck a bouquet or floral crown. Bouquets and crowns having been much on my mind, as I'll be getting married in October myself! Plenty of time to search out my own perfect palette. I'll keep you apprised. I've had a long winter developing new patterns and colorways, which have slowly been appearing in the shop. Besides the many ribbons, a new collection of marbled notecards is now available. These feature some of the patterns I'm most proud of! Available singly or in a set of six, the notecards are offset printed with soy- and vegetable-based inks on recycled paper. They're a good excuse to send a friend some springtime cheer. For a more personal suite of stationery, I am also available to create custom patterns for cards or envelope liners. Whether hand printed in a limited edition or offset printed in quantity, I can develop the perfect pattern to your specifications - just drop us a line. Happy new year! As you might have noticed, there have been some changes around here. A new website, new blog, and a new shop design as well! Subscribers will need to update their RSS feeds to continue receiving posts, and there is now an option at right to receive blog posts by email if you prefer. Please bear with me as I continue to tweak things around here (links to previous content will be wonky), but do contact me if you have any trouble with the new site or shop. 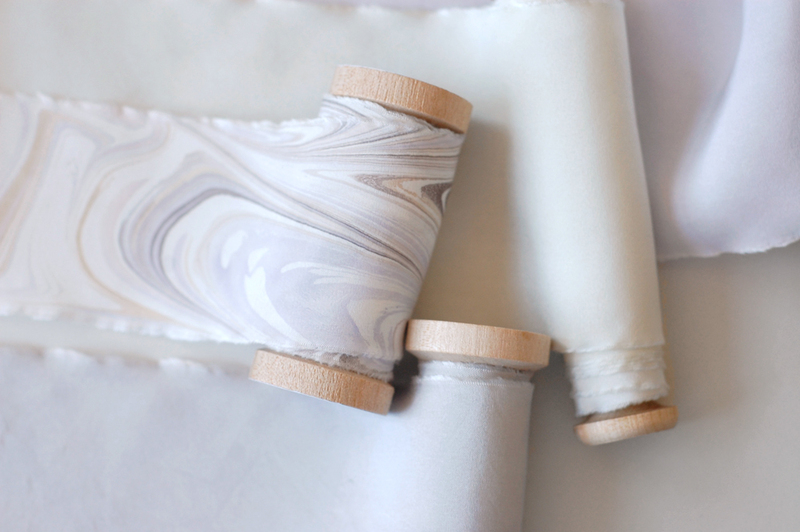 I've also updated the shop with some spools of colorfully marbled ribbon; more to come in the next month! 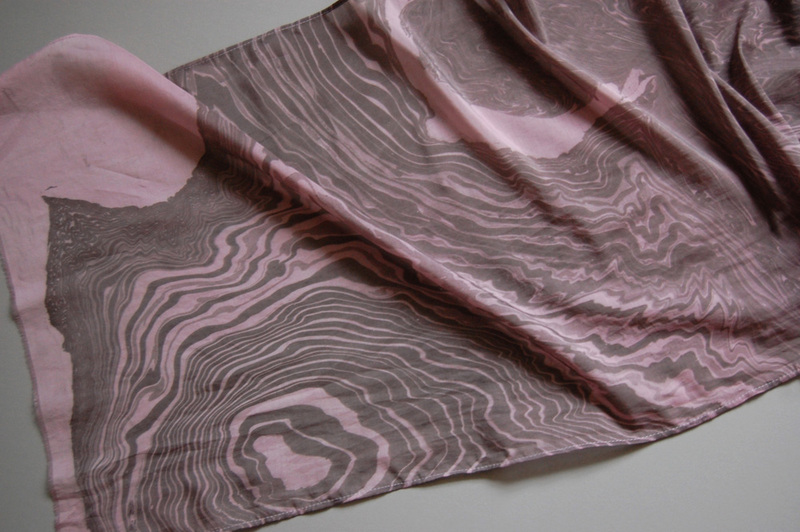 A number of new suminagashi marbled scarves are now available in the shop! Many of these received experimental techniques in their creation, resulting in an unusual array of form and line quality. 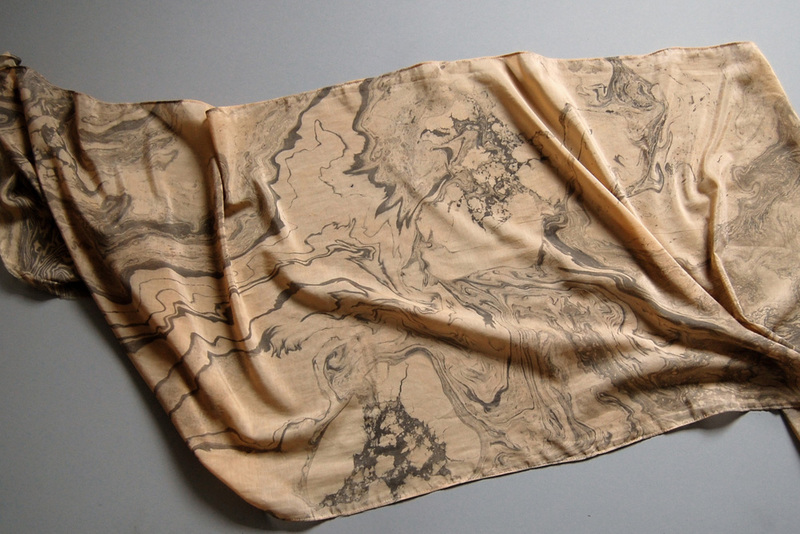 The scarves are printed on a diaphanous silk/cotton blend, and some have been naturally dyed in subtle base tones. Each is a unique, permanent monoprint created by hand. Find them all here. Lots of little softcover booklets for the holidays. These are bound simply with the odds and ends of my marbled papers, all made in-house, and gathered into trios of pleasing patterns. A perfect little something for a holiday or hostess gift!